Year 8 Hoo Girls gain First Place! Katy Pratten helped put the Hundred of Hoo in the lead in the first match of the tournament against Isle of Sheppey 30-5. This ensured that the team's confidence and moral stayed high for the whole tournament. The girls went on to play in the final against Fort Pitt Grammar. Fort Pitt could only field eight players, and in great team spirit Hoo also played a team of eight. It was a very close game where the team battled hard and Katie Bourner scored a try in the last two minutes of the game making the score 2-1 to Hoo. 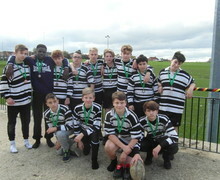 Pure dedication and resilience from the team ensured that they were placed first in the Medway School Rugby League. Well done girls! 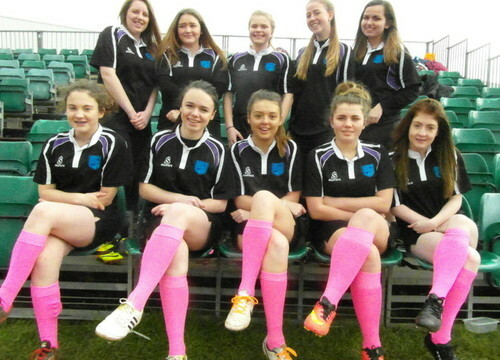 The Year 10 girls rugby team came second place at the Medway Schools Rugby League and have secured their place through to the Regionals. Well done! 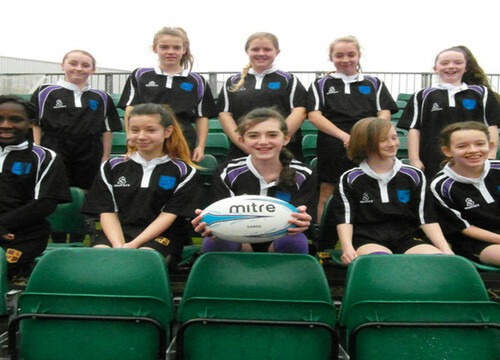 Year 7 played their first Tournament together as a team and placed an excellent fourth overall. In their first match against Leigh Academy, Paige Jordan's speed and agility assisted with scoring the Academy's first try. Congratulations also goes to Tisean Williams for her great tackling and to Sophie Sparks for stalwartly keeping the defence line. 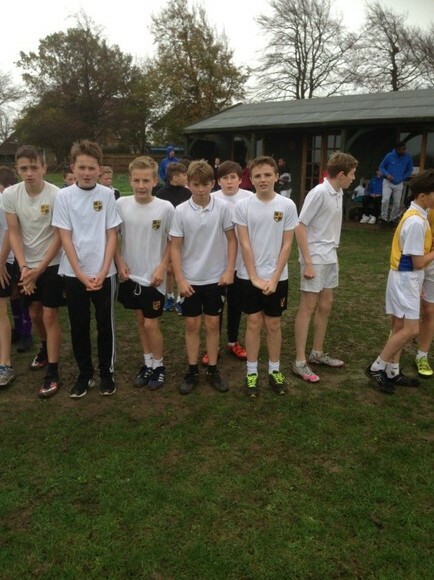 On 19 November 2015, 20 pupils from years 7-11 represented the Hundred of Hoo Academy at the Medway Secondary School Games Cross Country. Despite the wet weather and the mud pupils did not let this dampen their spirits and were highly motivated and enthusiastic for their races. Against approximately 50 other pupils from other schools in each race, both teams worked extremely hard achieving excellent results on the day. Overall the Hundred of Hoo Academy girls finished 10th and the boys 3rd. Well done to everyone that took part! Congratulations to the Year 9 Boys Rugby Team who came 3rd in the Medway Rugby Schools Tournament, beating; Greenacre Academy, Strood Academy, Victory School and Brompton Academy. 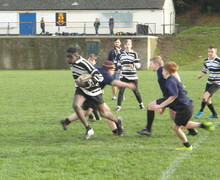 Top try scorers were Tommy Atilola, Conor Murphy and Brennan Mcloughlin. 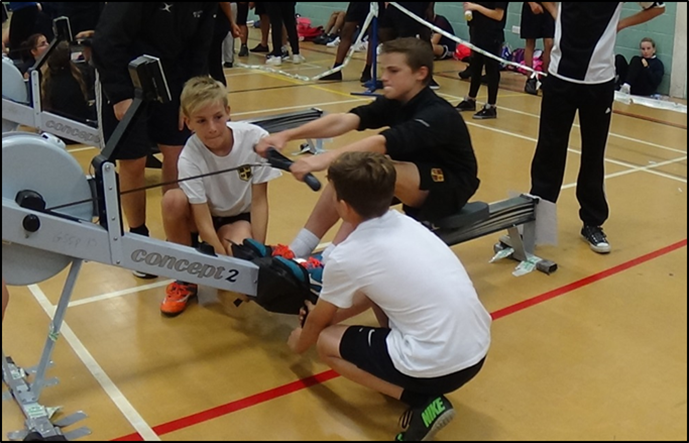 Pupils from the Academy attended an indoor rowing competition at Greenacre Sports College. The event saw schools from across Medway competing on 16 indoor rowing machines across various age groups. The year 8 boys team, comprising of Jack Palmby, Kameron Burrows, Jamie Graham and Morgan Johnson finished 5th overall, whilst the year 10 girls were narrowly pipped to 3rd place by Fort Pitt Grammar. Freja Askew, Holly Martin, Chloe Martin, Eloise Burton and Jade Harrisson should be truly commended. Huge congratulations must also go to the year 10 boys who finished 3rd overall, narrowly pushed out of 2nd place in the relay event. Well done Alfie Speirs, Bradley Luttmann-Mills, Jack Davoll and Will Ripley. Our next Medway Schools Games event will be in the Badminton discipline at Medway Park on the 22nd October. Trials for this will be held during lunchtimes in the Sports Hall between Monday 12th and Wednesday 14th October. There were perfect conditions for this first round fixture at home to Welling School and both teams started the game with great tempo and a close battle in the middle of the pitch. Hoo created the early chances forcing an early own goal, with a second from Jo Welford making it 2 – 0 at half time. The wind proved difficult to deal with in the second half as the boys found when trying to clear their lines with Welling scoring 2 to make it level with 10 minutes to go. Our boys showed good character not to let their heads drop and Dean Docherty scored a quick breakaway goal for Hoo. Welling a well motivated team continued to keep pressing right up until the final whistle, scoring their 3rd in normal time and equalising with the final kick of the ball to make it 3 – 3. Moving into extra time Hoo scored first and Welling equalised, but the boys remained resolute and I am proud to share that Tom Hoare raced on to score the winner with the final score being 5 - 4 to Hoo. The final Schools Football Table has been published for Term 1- click here to view where we are in the league.